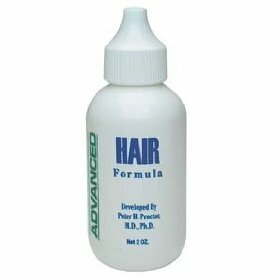 Proxiphen-N ("Prox-N") is a topical formulation of many of the nonprescription hair-loss treatment agents, these include various SODases, copper-binding peptides, and pyridine-N-Oxide hair growth stimulators. It is in liquid form since many components are insoluble in liquid, then causes the precipitation of other ingredients. It must be used daily. Proxiphen-N, is one of the best products against hair loss, baldness of every type (also for alopecia areata) and regrowth hair.